You are receiving this email from Personal Development Institute because you subscribed on our website. To ensure that you continue to receive emails from us, add donald@thepdi.com to your address book today. If you haven't done so already, click to confirm your interest in receiving email campaigns from us. To no longer receive our emails, click to unsubscribe. At the Personal Development Institute our purpose is to awaken people to a new way of thinking about what it is to be human and what it takes to make life and work more rewarding and fulfilling. Every month you'll read inspirational stories, and personal development news, learn new skill sets, and gain knowledge of self through hands-on exercises, discover what works, and what doesn't. Donald's been around a while, and you can count on him for reliable and informative personal development information. Ever since I was a little kid, I didn't want to be me. I wanted to be like Billy Widdledon, and Billy Widdledon didn't even like me. I walked like he walked; I talked like he talked; and I signed up for the high school he signed up for. Which was why Billy Widdledon changed. He began to hang around Herby Vandeman; he walked like Herby Vandeman; he talked like Herby Vandeman. He mixed me up! I began to walk and talk like Billy Widdledon, who was walking and talking like Herby Vandeman. Author Unkown Well known Proverbs? A first grade teacher collected well-known proverbs. She gave each child in her class the first half of a proverb and asked them to come up with the remainder of the proverb. It's hard to believe these were actually done by first graders. Their insight may surprise you. While reading these keep in mind that these are first graders..... 6-year-olds, because the last one is classic! 1. Better to be safe than......................punch a 5th grader. 2. Strike while the............................bug is close. 3. It's always darkest before..................Daylight Saving Time. 4. Never underestimate the power of............termites. 5. You can lead a horse to water but...........how? More now than ever before we need to be inspired and energized by the Power lying hidden in each of us, so that we may rise from the ashes of our dead hopes to build anew our life in greater beauty and in more harmony. This illumination makes this book even more pertinent now than when it was originally written over 80 years ago in the 1920's. The hammer assumedly works by exposing one section of the brain to a new thought then activating several other major sections simultaneously. The new thought can then spread to all of the active areas at once. This effectively "forces" the brain to experience and moderate the new thought as a whole. 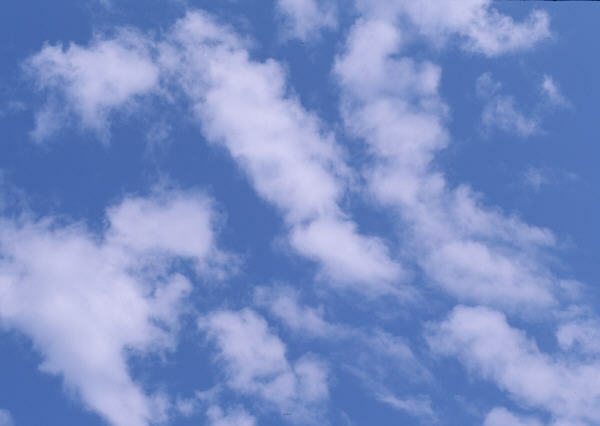 If this new thought provides the brain with a better, easier or faster way to get the result it needs, it will secrete chemicals that cement the new thought pattern into place. "The Hammer is the ultimate Rut Buster. We utilize mainly Cognitive Behavour Therapy for a variety of mental illnesses at Pinelodge Clinic and I am impressed by the simplicity of this technique and its potential power to move past blocks." 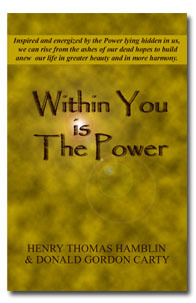 This collection of art & prose speak in a spirit of self empowerment & love. Combining an atmospheric & ethereal blend of musical ambiance, these meditations & spoken word inspiration are a wonder- send to all who sample this beatific & spiritual art. The following FREE sampler resources provide invaluable feedback about you and where you are starting your personal development journey. The key to Personal Development is self-knowledge. The Personality Profile is often our starting point for coaching and mentoring. If you are exploring what truly motivates you, the Personal Potential Assessment will help you identify your natural motivations, interests and talents for work. Once you have completed the free personality profile and the free career potential assessment then you are ready to Build Your Mission Statement. This is where you will start building your path to personal development. Buy 4 (a $60.00 value) for only $15.00. And, (for a limited time) receive 4 additional Ebooks Free. Acres of Diamonds - Follow the principles in this book, and you will uncover your own acres of diamonds. The Science of Getting Rich - Expertly guides us toward financial success by providing the tools to spiritual growth through the acquiring of riches. 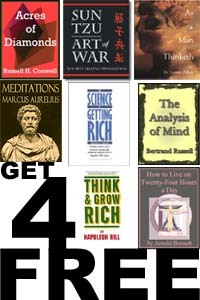 As A Man Thinketh - Among the top ten success books of all time. Think and Grow Rich - This book will show you not only what to do, but how to do it. Art of War - provides leaders with essential advice on battlefield tactics and management strategies. Meditations - A series of spiritual exercises filled with wisdom, practical guidance, and profound understanding of human behavior. How to live on 24 Hours a Day - this book is more of a challenge to leave behind mundane everyday concerns, focus on pursuing one's true desires, and live the fullest possible life. The Analysis of Mind - All of his ideas are clearly stated and made more apparent with the use of simple illustrations.